Slimmer than your palm and as big as a credit card, TL-PBB3000 designs to fit comfortably in your hand, neatly in your pocket or unnoticed in your bag. With the advanced charging solution, TL-PBB3000 can deliver up to 5V/1.5A output that charges 50% faster*. Fully charging Galaxy S6 edge takes 100 mins with TL-PBB3000 while it takes 150 mins with a 3200mAh power bank supporting 5V/1A output only. *As measured by the charging time on Galaxy S6 edge comparing to a 3200mAh power bank supporting 5V/1A output only. Exact charging time may vary subject to actual situations. 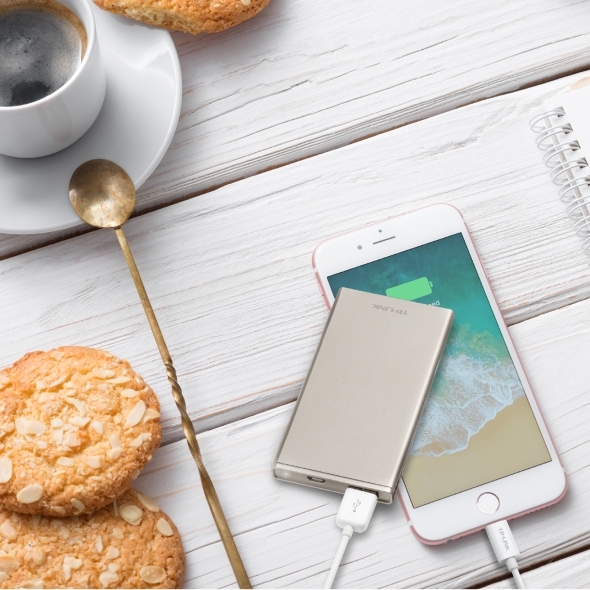 Elite sereis power banks incorporate the latest safety features to protect your devices and power bank against short circuit, over voltage, over current, over charging and over heating. 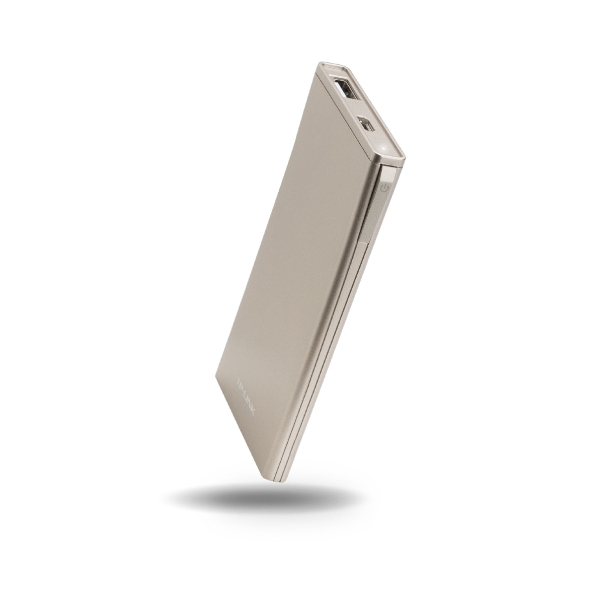 Enclosured with metal feel coating in gold finish, this card holder shape power bank is the handy gadget that you will take along for every day, every occasion.